McCobb’s straightforward, unembellished designs were in every living room in America by 1952, even if it was just on the TV set, after he designed the set of The Today Show. The country followed suit soon after, making McCobb often cited for introducing the masses to high design. 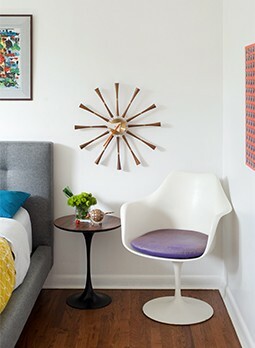 His Planner Group, Directional and Perimeter furniture lines made McCobb a bonafide household name in the middle class suburbs of the 1950s. Also during this period of time, the Museum of Modern Art in NYC awarded McCobb with their prestigious Good Design Award a total of five times. 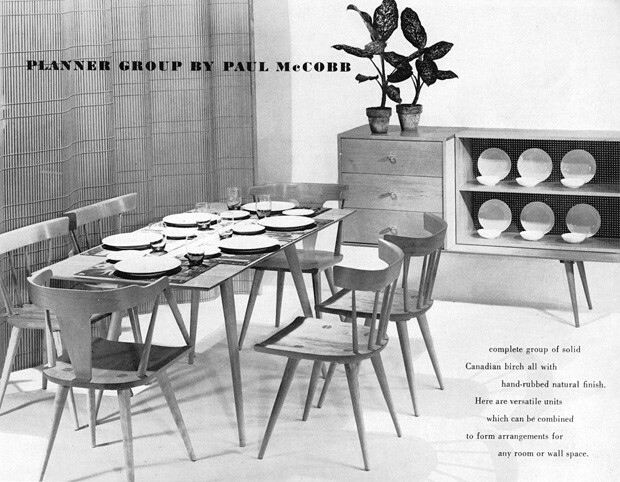 In addition to furniture design, McCobb created wallpaper, lighting, TV sets, radios and ceramic dish ware. As his career was winding down, he focused on designing for corporations including Singer and Columbia Records. Paul McCobb passed away in 1969.